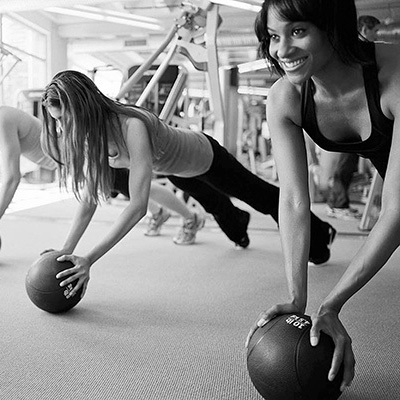 In private or in groups, our training will help you reach your goals. You’ll be followed by a certified kinesiologist or coach who will prepare a training plan based on your background, the results of your fitness assessment, and, most important, your goals! Your coach will be present throughout your workouts to ensure your safety and motivation. He or she will also adjust your program according to your progress for optimal results. Semi-private courses allow you to train more effectively with direct assistance from a certified coach. You’ll reach your goals faster and quickly get addicted to these classes, which will bring back the joy of training. In small groups of 10 to 12 people, you’ll develop a sense of belonging and closeness with your training partners and coach. 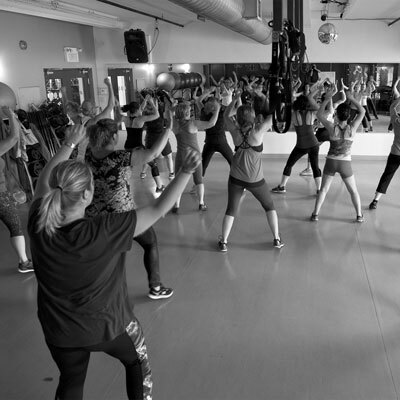 Our group classes combine humour and contagious energy. We offer a variety of classes, including Spinning, Zumba, Pump, and Santé Boomers; you’ll definitely find the right fit for you. Offered by enthusiastic instructors, these classes will quickly become an essential part of your life. A team of professionals who cares deeply about your health. Frédérique joined the Énergie Sud team in 2014. 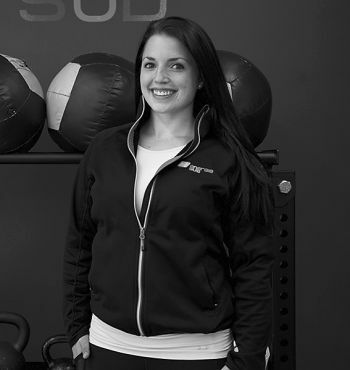 She graduated from the Université de Sherbrooke with a bachelor’s degree in kinesiology in 2014 and has enhanced her knowledge with numerous courses on nutrition, functional training, and management of healthy lifestyles. Her daily mission: to teach her clients how to push their limits so that they reveal their full potential, one session at a time. Recognized for her passion, Frédérique draws her energy from the progress of her clients. Jean-François joined the Énergie Sud team in 2012. 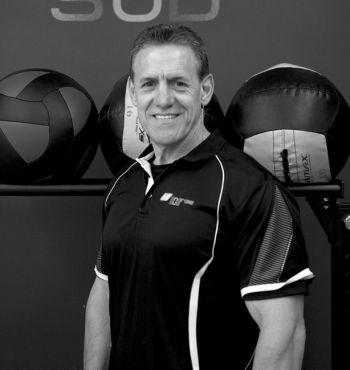 He holds a bachelor’s degree in kinesiology from the Université de Sherbrooke. A seasoned athlete, he has participated in professional training camps and played semi-professional baseball and hockey. As a teenager, his elite athletic environment enabled him to develop his interest in training and physical preparation. Certified (StrenghthSensei) Bioprint Level 1, Sports Nutrition 1 and 2 (Coach Expert) and constantly wishing to deepen his knowledge, his mandate at Énergie Sud consists of being a consultant attentive to the needs of his clients. As a private trainer, physical trainer (preparation for sport camps), and semi-private coach (cross-training), Jean-François knows how to convey his passion for physical activity through his professionalism and dedication. A member of the team since 2003, Mario is trained in Bodybuilding Levels 1 and 2. Enthusiastic and well informed, he knows how to listen to his clients as he instills technique, safety, and motivation. With his great experience, Mario is definitely an asset to your training program. A sports and fitness enthusiast, Justin made his debut in the fitness world at the age of 14. It was when he started playing football that training became more than just an activity, but a passion for him. His interest in the fitness and physiology of the human body led him to make his massage therapist class and to obtain his diploma in the summer of 2018. 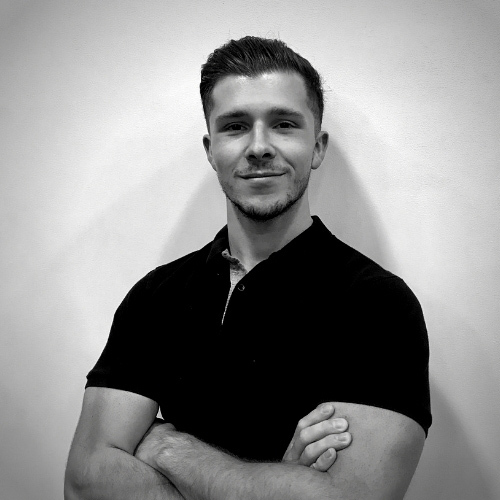 Always wanting to learn more, Justin is currently continuing his studies in masso-kinesitherapy specialized for athletes at the Academy of Scientific Massage. 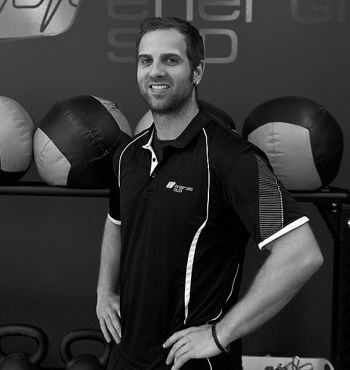 Professional, competent and passionate, Justin is the one who will know how to use the most effective and adapted techniques to your needs to overcome a musculo-articular pathology. A graduate of McGill University’s Kinesiology program, Noémie is very athletic. She has practiced several sports, including basketball at the elite level for 9 years. Currently, she is primarily dedicated to weightlifting and is registered as an “athlete development” with the Quebec Weightlifting Federation. 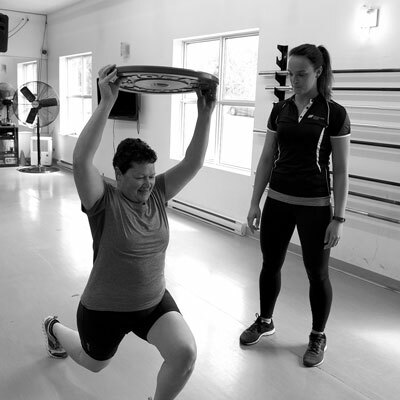 Noémie is passionate about sport preparation, fitness, mass gaining, but also by rehabilitation. Her philosophy is to work as a team with her clients to achieve their goals, develop their skills and get them to reach the best of their capacities. 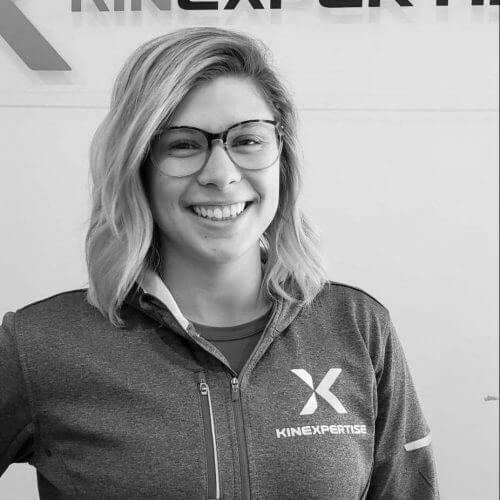 Maude has been a member of Énergie Sud’s team since May 2018 and has been part of Kinexpertise’s great family since 2017. A great athlete since she was young, she competed at a competitive level in artistic gymnastics for 10 years and joined the university’s women’s rugby team during her studies. Also passionate about the anatomy and the functioning of the human body, Maude graduated from Cégep Marie-Victorin in physiotherapy techniques as well as from the University of Sherbrooke with a bachelor’s degree in kinesiology and D.E.S.S. in therapeutic exercises. 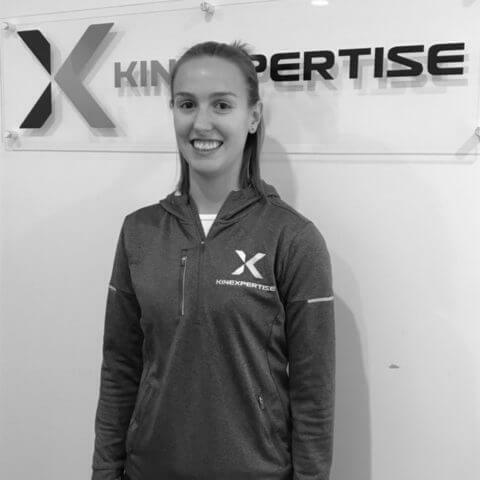 Maude will guide you in achieving your goals through her services in private training, functional training and physiotherapy treatment.